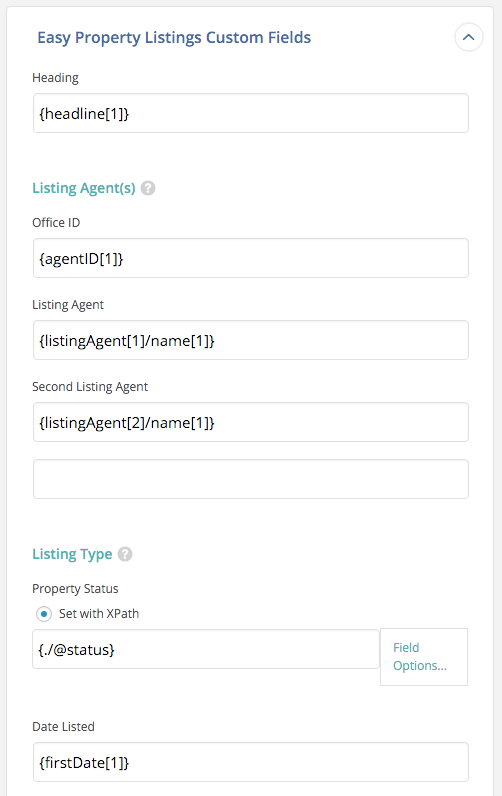 Our goal with this add-on is not to just be able to import listings into Easy Property Listings but to improve import speed especially with images. 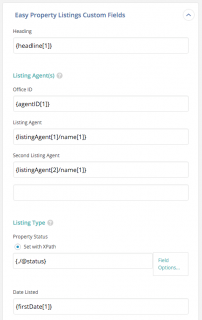 Easy Property Listings Import is live! Get it here. However to take advantage of these speed improvements we have had to make changes to the record.php file included in WP All Import Pro. 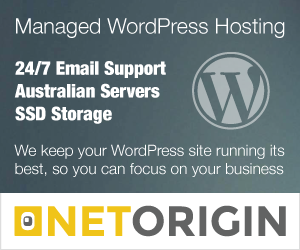 We will be submitting a request to Soflyy the creators of WP All Import to add the additional hooks to their fantastic plugin. 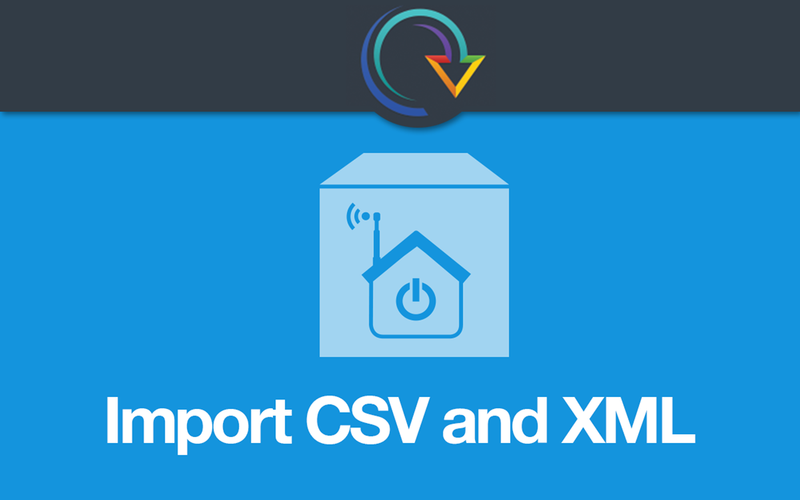 Easy Property Listings XML CSV Import Add On Visit your Dashboard > Plugins > Add New > Search for Easy Property Listings and activate the importer. Download the REAXML template which works for all post types, super easy! Get them here. Once you have installed and activated the add-on visit Dashboard > All Import > Settings and import the template (its a .txt file. 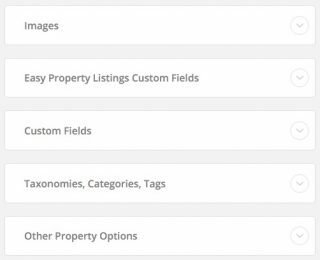 Now when you create a new import as previously shown here except this time we have a whole section dedicated to the custom fields for Easy Property Listings. Creating your import for REAXML is easy as all you need to do is load the template from the bottom of the import page. 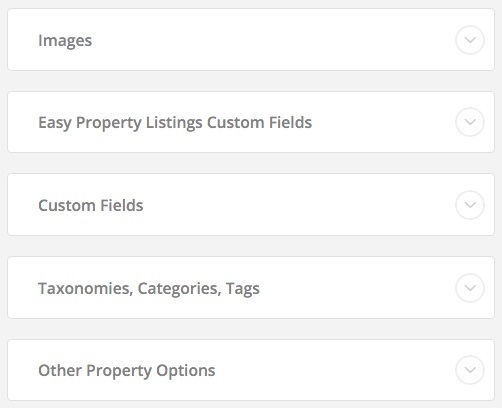 Once you load the import template all the fields will be configured for REAXML. We will be adding more templates for other popular formats like Jupix UK. Let us know in the comments below what you think of the new importer, if you have any issues or find any bugs. 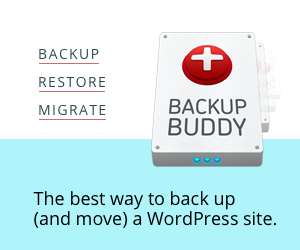 Would you suggest something like this plugin to avoid accidentally updating WPAllimport? We have submitted a feature request to Soflyy the creators of WP All Import Pro and are working with them to include the hooks so there will be no issue updating WP All Import Pro and using the extension. Soflyy have added the filters to WP All Import Pro that we needed for the add-on and will be including them in the next update of WP All Import Pro! I’m testing and it seems to be working quickly on locahost. 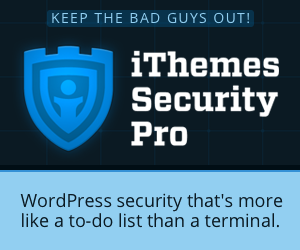 I edited the WP Allimport to add the XMLId to the end of the Title and reran the import – None of the titles or URLs updated. Have you done something in the process of speeding up the XML that will only allow updates if the XML has changed – Logical but what if there’s a manual update to the import template? We updated the importer on GitHub which you can download and replace on your website for further testing. The update corrects the Activate once initial imports is set options show in the settings image above. 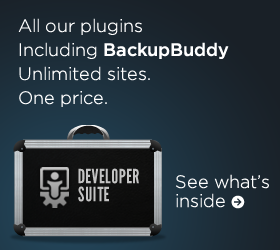 Thanks for testing the plugin Ben. Finally the importer is ready for release!